Well, I am on a ball. 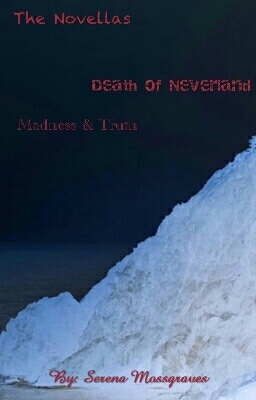 So I have been considering what I should do with “Death of Neverland ” and the other Novella “Madness & Truth” that I nearly have done. Mind you both are releases from Serena Mossgraves. I have put in a good bit of thought. While I am fine with releasing a Novella for the Kindle as a stand alone, doing such for paperback is not something I feel comfortable with. However, I will release a paperback with both Novellas instead. Likely to be released around the same time as Madness & Truth. I will do a update closer to the release. I was merely wanting to share the cover idea for now. Madness & Truth should be ready for the editor by the end of June. I will be hopefully able to release it by the end of July. Check back for further information as I am able. The castle has been there for two millennia, home to beauty and tragedy. Most of it’s history has been revealed, or so it is believed. Built of solid stone, blood and sweat. Dreams of happiness hide in the darkened corners inhabited by the ghosts of the castles grisly history. Lovingly restored before it drove it’s owner insane. Now, a group of ghost hunters seek to explore the castle and discover the secrets that lie within. Five go in, how many will survive? And will they have their sanity in the end? Keep an eye out for information on Madness and Truth. By Serena Mossgraves.